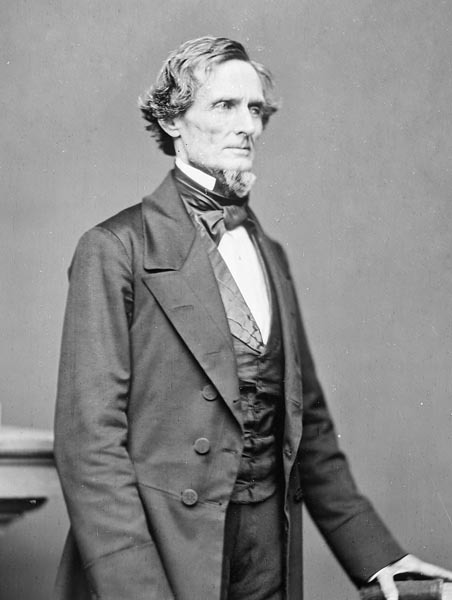 Confederate President Jefferson Davis, photograph by Matthew Brady, 1861, courtesy of the National Archives and Records Administration. In 1868, following Confederate surrender in 1865, Davis and his wife Varina came to Liverpool in search of employment through their connections to the elite residents of Abercromby Square. 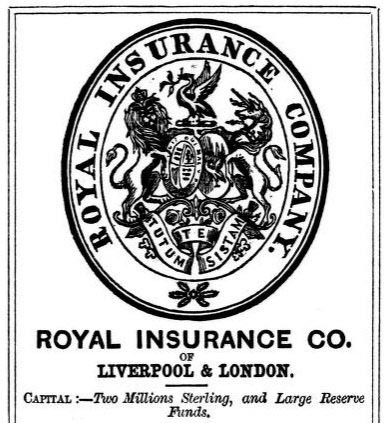 The Royal Insurance Co., 1857, courtesy of the Internet Archive. After the Civil War, former Confederate President Jefferson Davis looked to start a new career in cotton brokerage or insurance in Liverpool, specifically with the Royal Insurance Company. Based on their wartime business connections, in August 1868, the former president of the Confederacy Jefferson Davis and his wife Varina came to Liverpool in search of employment. Abercromby Square residents James Spence and Charles Prioleau greeted the couple and took them in a private carriage to the Adelphi Hotel. Once it became clear that public scrutiny was too great, however, the Davises moved to the Walkers' home in Napier Terrace, Canning Street, only a few hundred yards from Abercromby Square. They probably visited the unofficial White House of the former Confederacy at 19 Abercromby Square, particularly if Confederate assets were, as suspected, still stored there. Even post-bankruptcy, Prioleau and Spence seemed to have access to significant funds, which prosecutors believed originated in the Confederacy. Davis hoped to start a new career in cotton brokerage or insurance in Liverpool, specifically with the Royal Insurance Co. The Royal was originally established by a group of prominent Liverpool businessmen from Abercromby Square. While this contingent was welcoming and positive about Davis’s attempts to settle in Liverpool, his political past had repercussions. As the burgeoning Royal Insurance Co. was expanding into northern states in the U.S., directors in London decided that formal connections with the former Confederate leader would be damaging to business prospects. Davis returned to Liverpool in 1870 and 1874, staying for at least part of the time at Number 19, and according to Spence's son, also staying as a guest of his father at Number 10. The Davis family's friends in Liverpool again tried to find employment for Jefferson, but without success. In 1877, Number 19 was leased out by its then owner, Major Norman Walker, on a five-year contract to help with struggling finances. The Haitian Ambassador to Liverpool, Colonel William Roberts, took up residence. In 1882 it became apparent that Walker's financial fortunes were not improving, and Number 19 was sold. The city of Liverpool purchased Number 19 that same year. The city transformed the property into the Bishop’s Palace for the first Bishop of Liverpool, J. C. Ryle, and his successor, Bishop Francis Chavasse. In the 1920s, the property became part of the University of Liverpool. Despite numerous enhancements and conversions, a great deal of the building remains as it was in the 1850s and 1860s. Recent renovations to 19 Abercromby Square have focused on preserving the original architecture and design of the house as a reminder of the wealth, power, and beliefs of all of its former residents— including its association with the Confederate States of America. West side of Abercromby Square, photograph by Chris Williams, Liverpool, England, 2015. 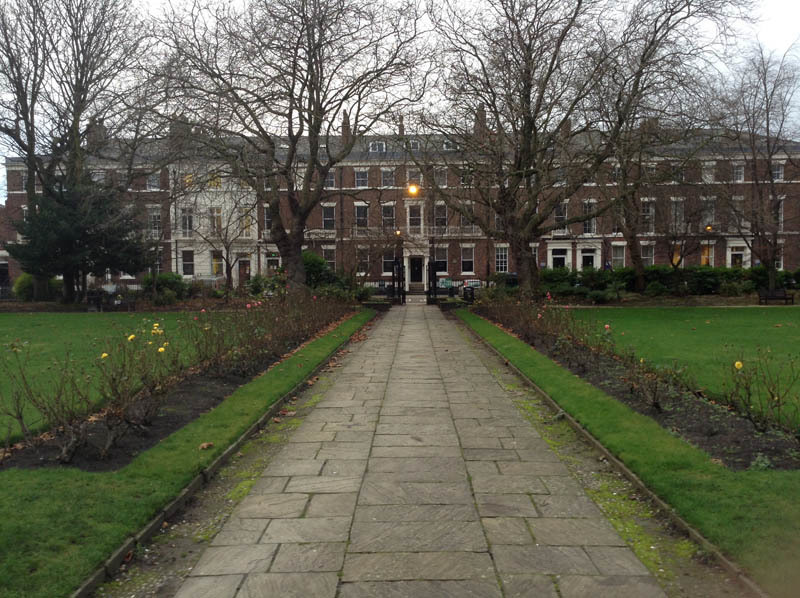 The University of Liverpool has managed properties on Abercromby Square since the 1920s. Recent preservation efforts aim to maintain the Square's historic spaces as well as document the complex histories of former residents, including those associated with the Confederacy during the American Civil War.